Shopping trips can either be extremely pleasant experiences, or they can be absolute nightmarish. The stress of driving on the congested streets can put someone close to having frazzled nerves. People just stop without notice, or they’ll make a turn from the wrong lane jeopardizing everyone else on the road. Naturally, there are the people who will double park and just sit there while they wait for someone to come out of the shops. Driving in South Florida can really be crazy. 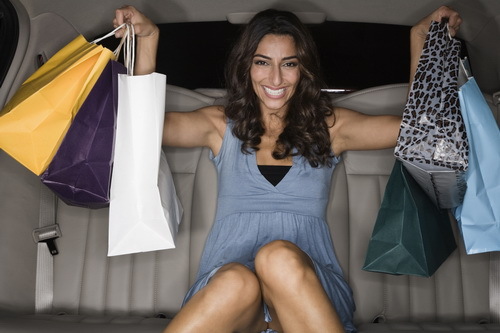 A limo service that specializes in shopping excursions can be relaxing and safe. Luxury Transportation Group USA offers top of the line limousines for shopping trips. Shopping for the holidays can be stressful and hectic. Everybody is out trying to get the gifts that they need to buy, so they can delight their loved ones and leave them happy. The shopping district is always packed from Thanksgiving Day on, so it makes finding parking very difficult. Smart shoppers find it wise to use a car service for their excursions. It makes much more sense than stressing over the lack of available parking. Luxury Transportation Group USA will provide you with a luxury limo for the duration of your shopping trip. Luxury Transportation Group USA is the leading provider of top of the line limousines for shopping trips in Miami, Orlando, and Tampa. Their professional drivers are attentive to their passengers’ needs, and will gladly store your bags while you continue to shop. Call 407-476-0429 to schedule limousine services for your next holiday shopping excursion.